Nissan’s 2013 Van Report surveyed 250 van drivers and 252 fleet managers to offer valuable insight into the habits and characteristics of van drivers and their managers. Here are a few highlights from the report. It’s been a stereotype for a long time. 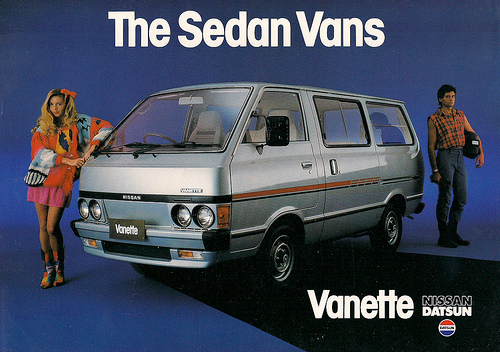 But the facts reinforce the assumption: only 1 in 20 van drivers are female. While the driving scene is dominated by males, they found that nearly 1 in 4 fleet managers were female. Nissan suggested that introducing a “clean van” policy could reduce the rate of accidents and lower the premiums on a company’s van insurance policy. According to the survey, 71% of drivers are over 35 years of age. A mere 3% were in the 16-24 range, meaning that companies will soon need to start attracting younger workers to replace their ageing workforce. Nissan was surprised to discover that nearly half of respondents drove for 100 miles or less each day. This could be due to improvements in modern distribution strategies: larger trucks tend to make the long-haul journeys, letting the smaller vans finish the delivery more locally. When asked what their most preferred feature was when selecting new vans for their fleet, 40% chose satellite navigation. Surprisingly, only 9% chose fuel economy, and only 3% chose reliability. In a world where fuel prices and pollution concerns are continually rising, it’s surprising that such a large section of fleet managers are taking no measures to reduce or control fuel consumption. Of those managers who are taking action, implementing driver training and fitting speed limiters came out ahead as the two most popular methods.